When I arrived in town on Wednesday night was cloudy with white skies…it’s stayed like that for the past couple of days, even snowing off and on at times…but tonight it finally cleared up. 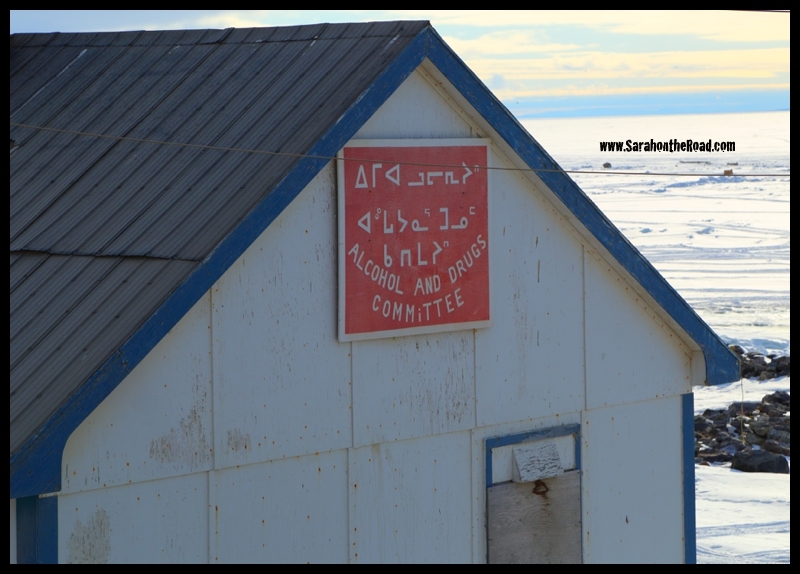 I was able to get to the Nattinak Visitor Centre on Thursday night. I slipped in about 5 minutes to 5:00pm. They close at 5pm, but the awesome worker (sorry I forget his name) took the time to show me around. He shared so much awesome information with lots of passion and excitement. It was really nice for him to let me see the displays even though he didn’t close up until 5:10pm! After showing me around all the awesome displays…giving me heaps of information, some new some not so new…the guy who was working at the visitor centre did a live demo of the seal kick game. 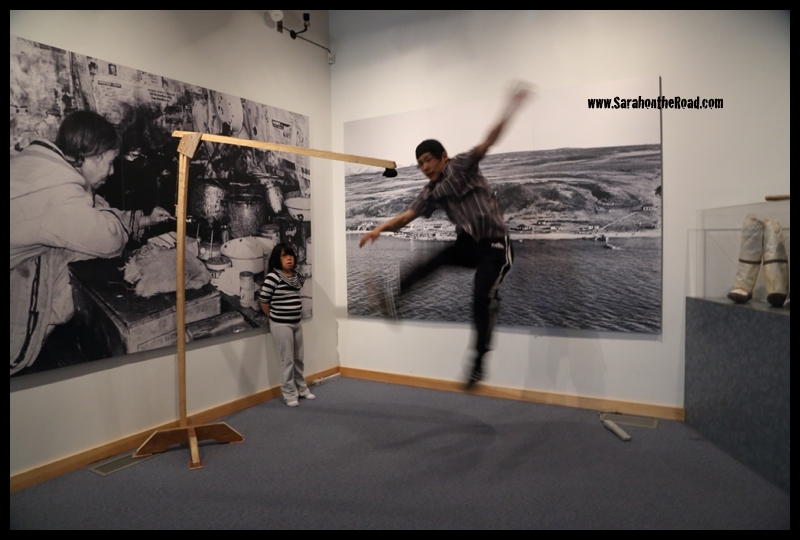 This top photo shows him kicking from a standing position. 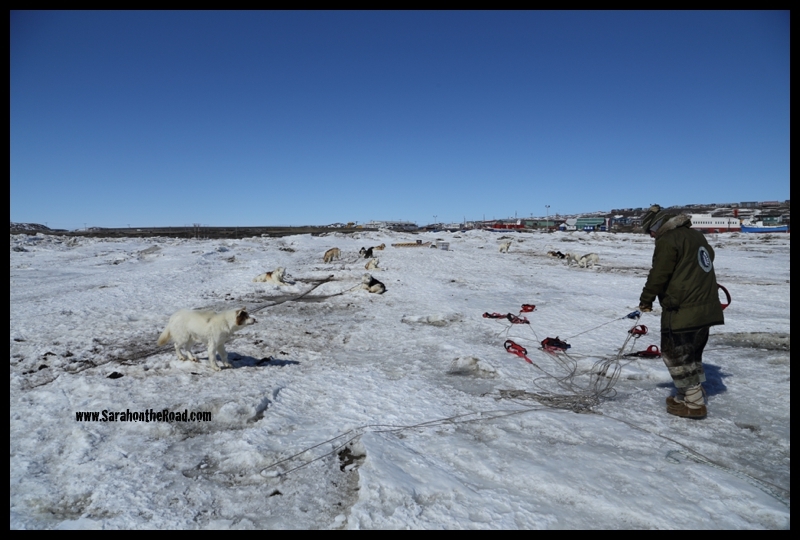 Here you can see the sequence of him doing the Alaska style…starting out sitting, with one hand holding the non-kicking foot….and stretching up and kicking to hit the tiny seal! Pretty awesome feat! Some of the awesome displays in the Visitor Centre. 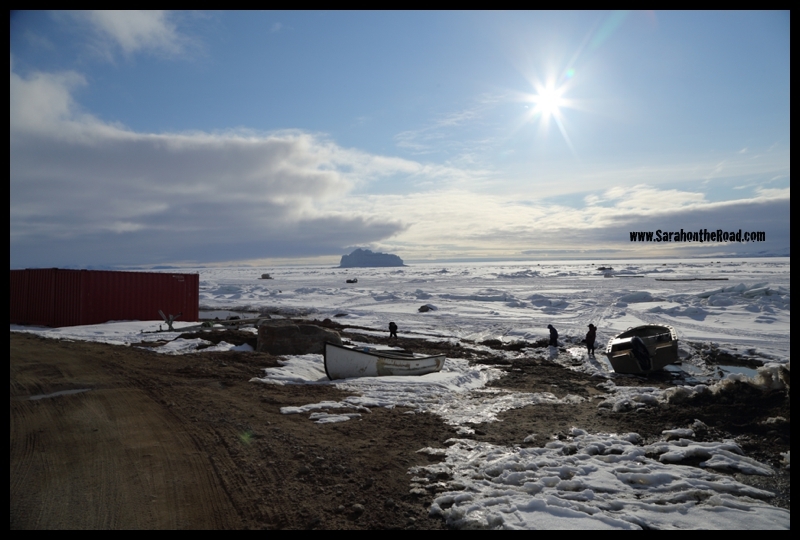 Friday night after dinner I asked a friend that has been living in Pangnirtung this year…(but here in Pond for work for 3 weeks) if she’d like to join me on a walk out to the iceberg that has been frozen into the ice. She agreed so off we went exploring! 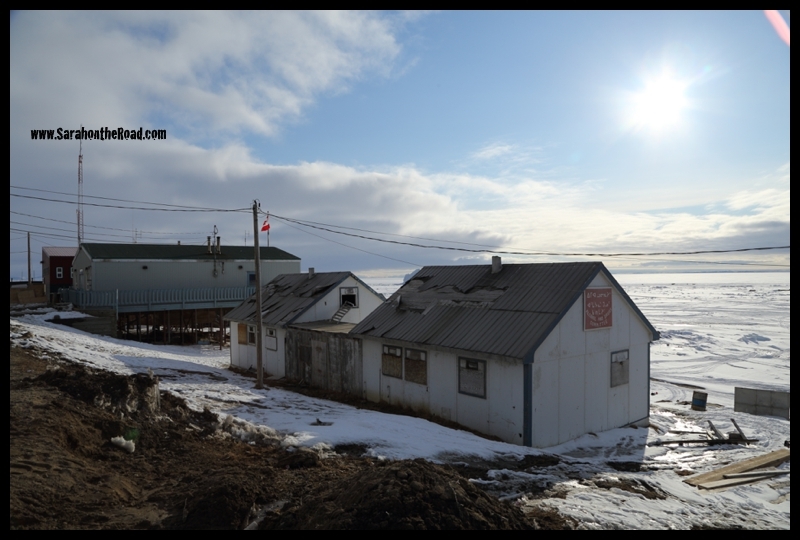 The weather is so nice…the sun is shining here in Pond Inlet 24 hours a day. Kids are out playing even as I type this post…I can hear them and it’s 1:30am! 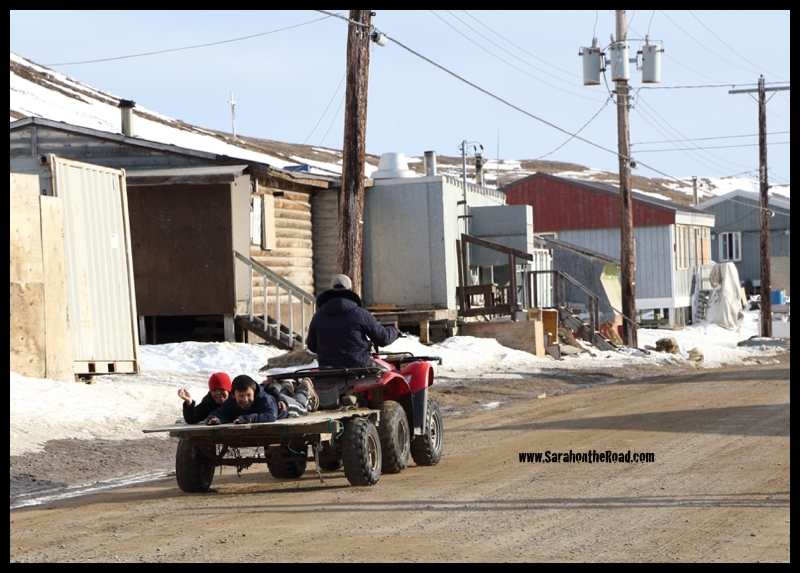 It’s fun to see kids being kids…playing in the dirt, mud and puddles as the melt is starting. 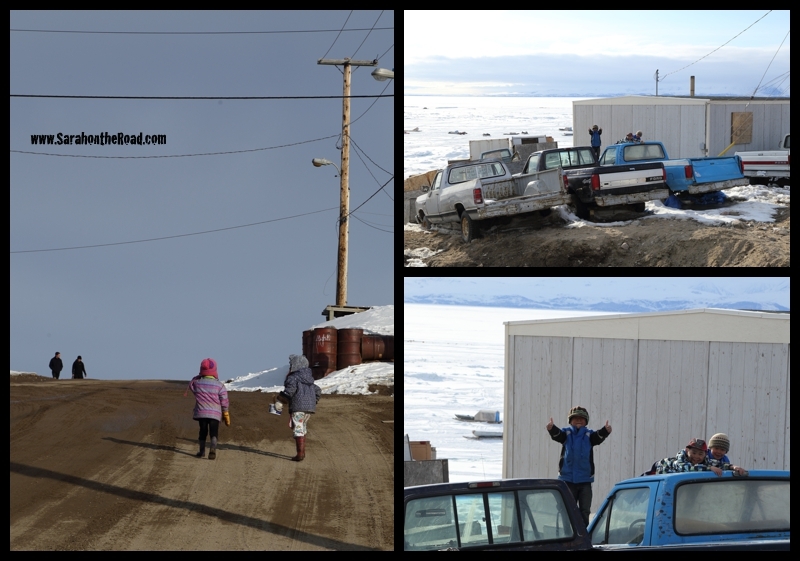 We walked through the oldest part of Pond Inlet on our way out to the iceberg…lots of older boarded up buildings, but also new homes as well! These little guys were too cute! 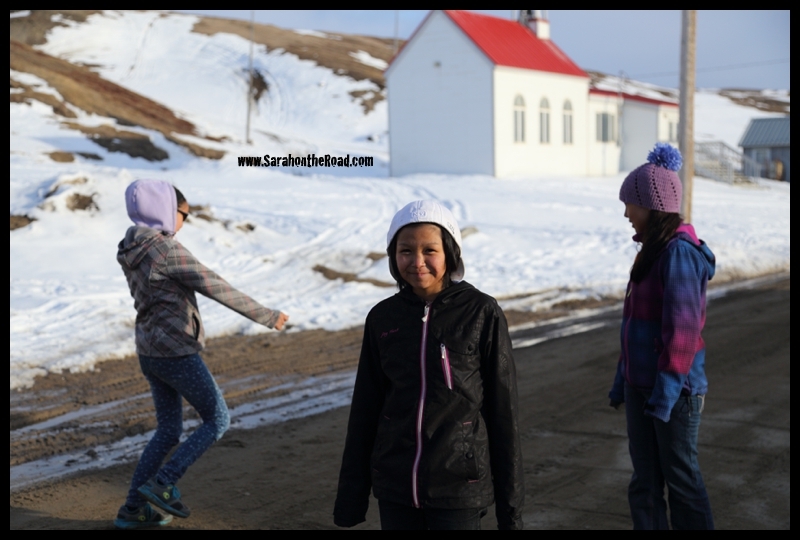 Shy at first but these girl did talk to us…and they were enjoying a game of hopscotch! I thought this abandoned building was pretty neat…the sign on the end was interesting, can’t honestly tell you more than that about it though! 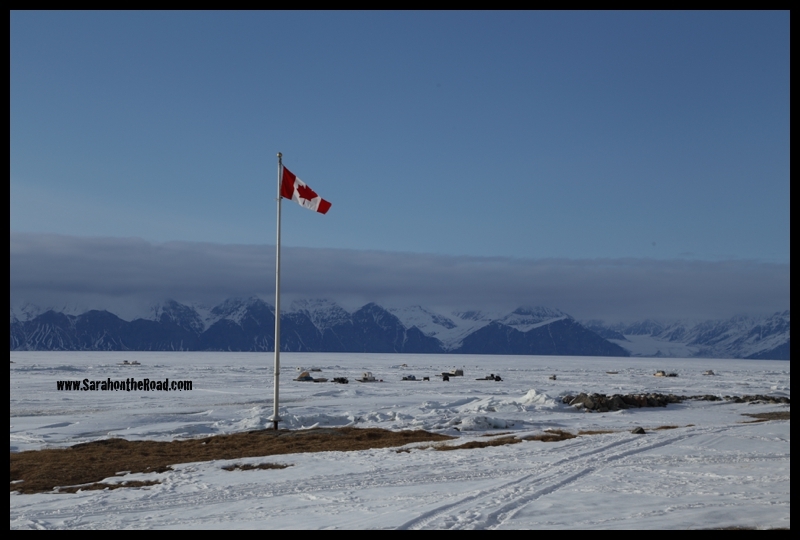 Looking across the ice to Bylot Island…the clouds tonight kind of hovered at the peaks of the mountains. 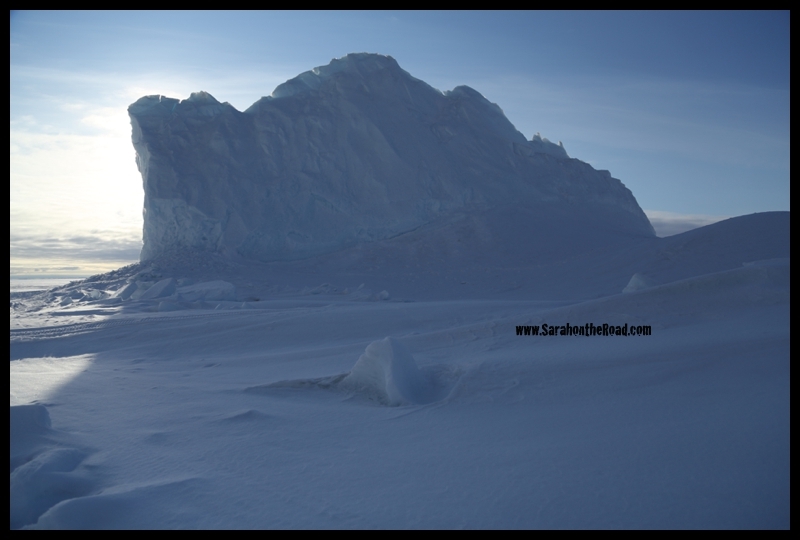 Looking towards the iceberg…about a 15-20minute walk off shore. 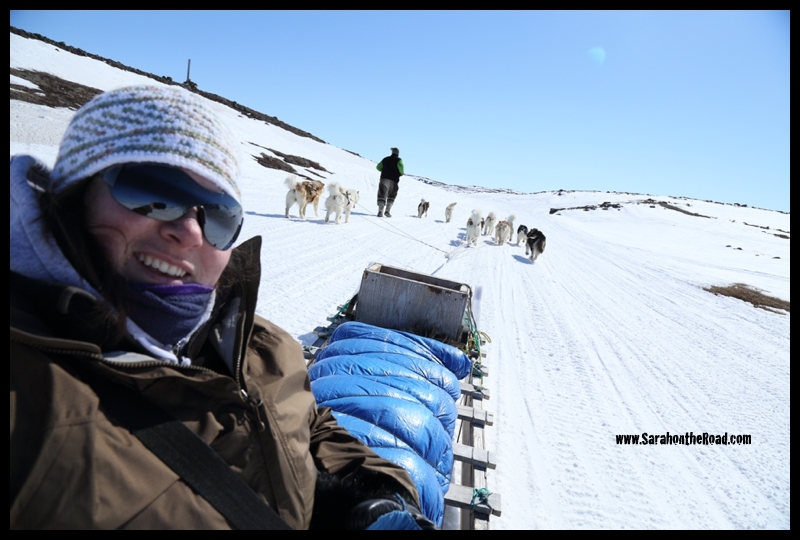 My friend getting closer…sticking to the snowmobile trails…as it was easier to walk, and we didn’t sink into the soft snow! 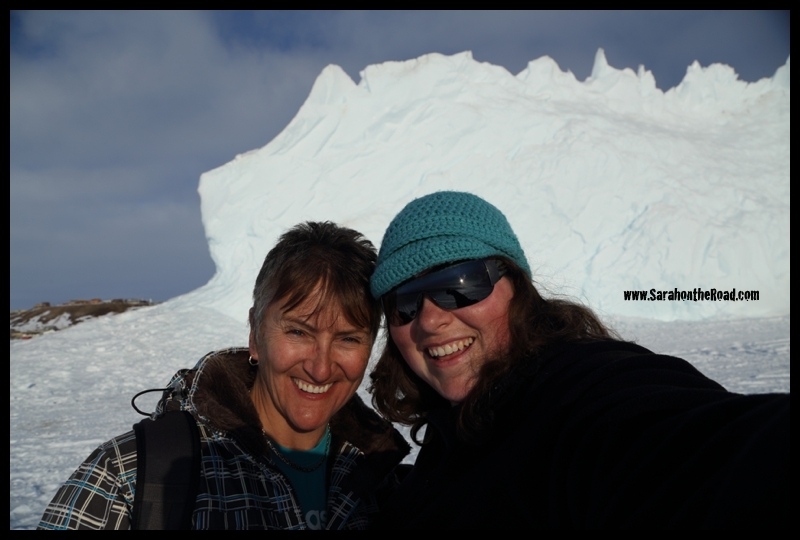 We did walk around the iceberg…sorry for the photo over-load! It seamed that every angle it looked different and often had different lighting. 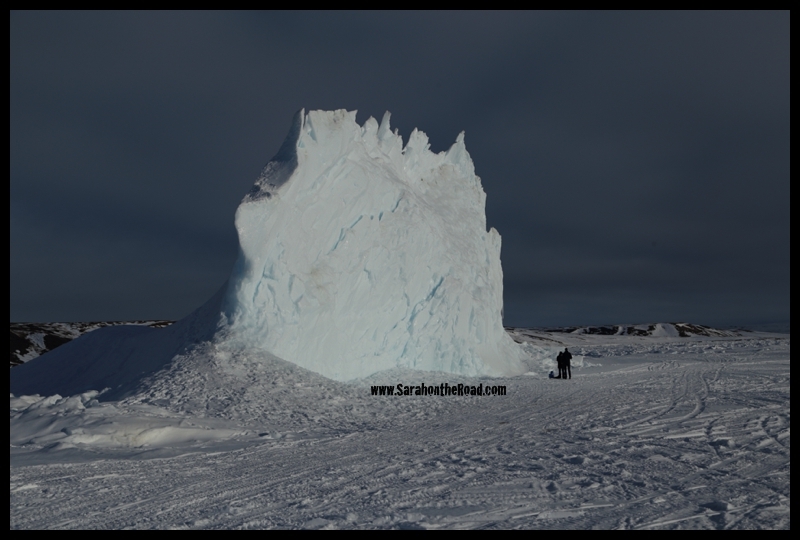 There was two more people out too look at the iceberg! 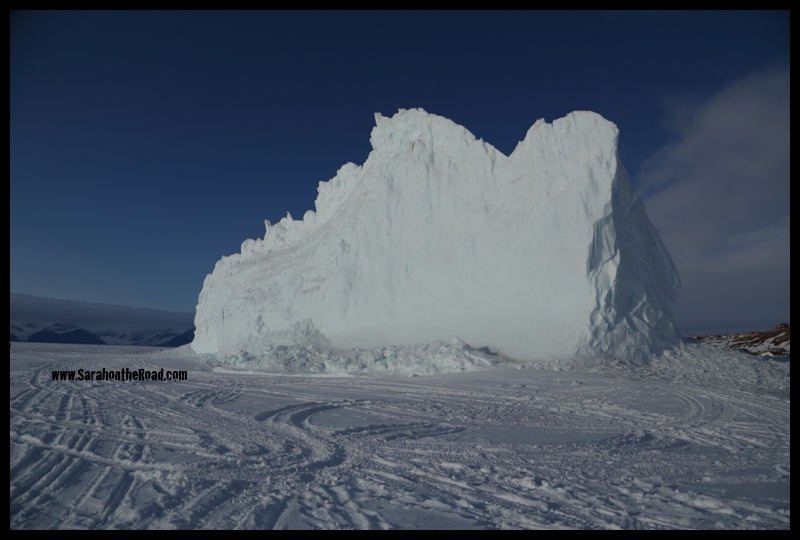 They were getting some chunks of ice to make tea…apparently iceberg water is some of the best. 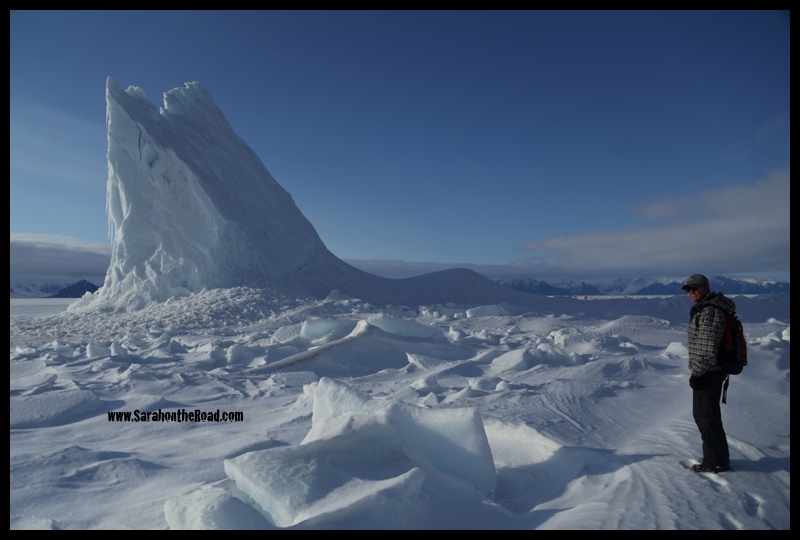 (I didn’t get close enough to touch it…it’s melting, and chunks are falling off it…didn’t want to get bonked on the head and die. 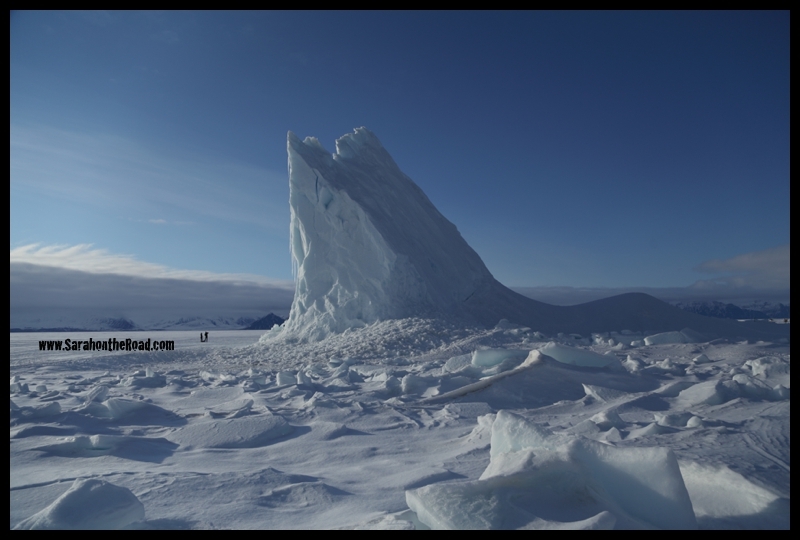 So no iceberg tea for me.) 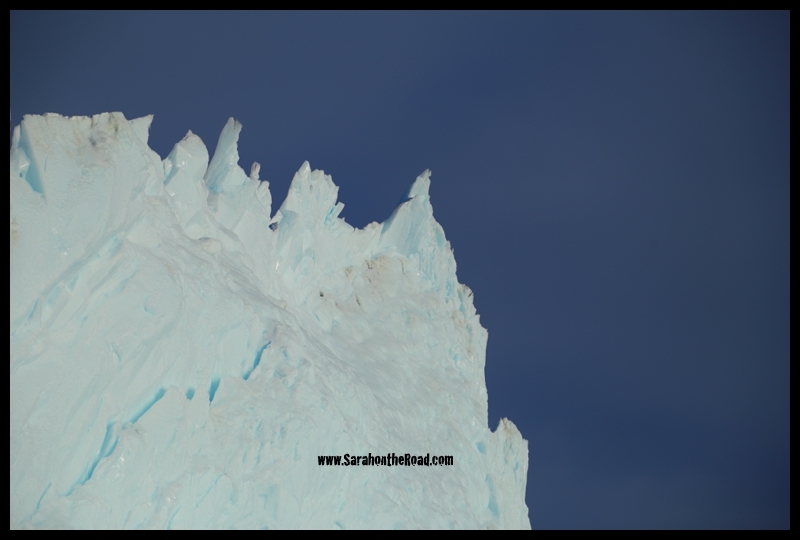 I had been warned by a few people not to get to close, because of the cracks and the ‘berg is melting. 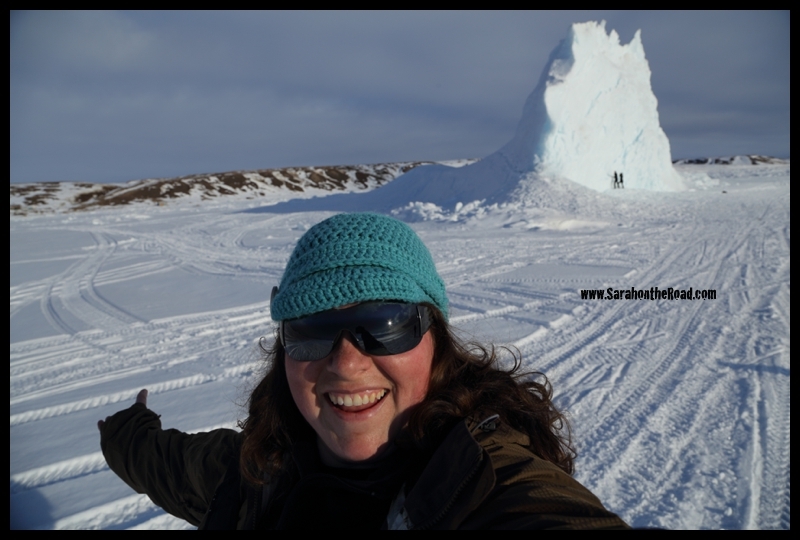 Everyone needs to take a selfie with a iceberg! 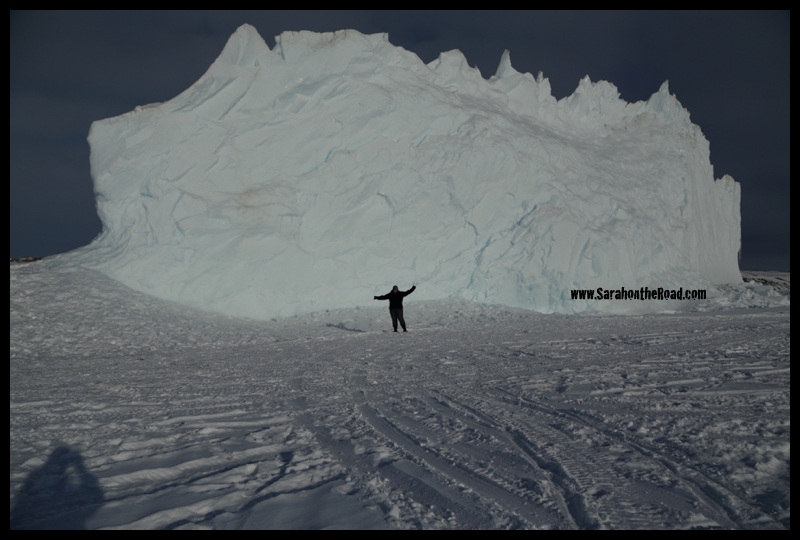 Me in front of the massive ‘berg…with my friend’s shadow in the corner. Thanks for snapping this shot for me! From the back side… or is it the front side? …in the corner of this shot you can see the houses from town on the hill! 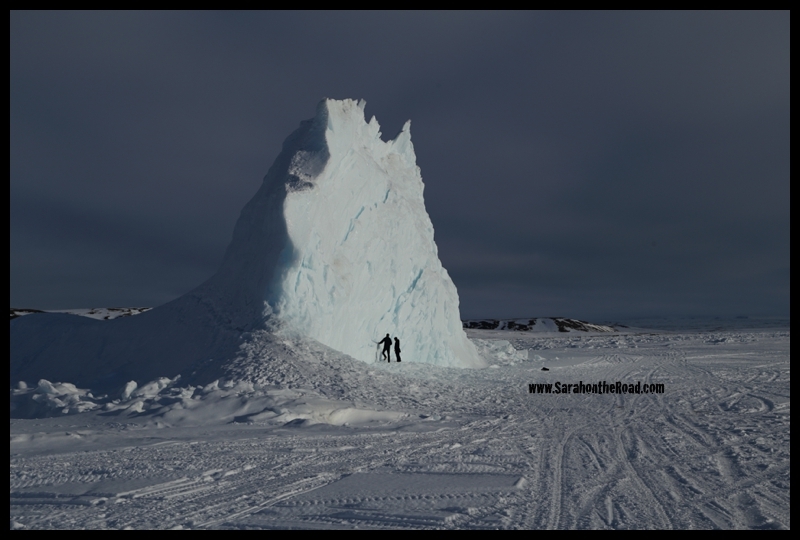 …those are small people standing beside the iceberg. …one last shot, before walking back to the hotel. It was the perfect evening to go for the walk. It was awesome to have a friend here that wanted to do the walk with me, thanks Rae! It’s almost 2am…I can still hear kids playing and the sun is shining through my window! I have a long day tomorrow…starting off at being at the airport for 7am. So I best find my sleep mask and try to get some sleep. I’m totally lucky that I can sleep easily on a plane! 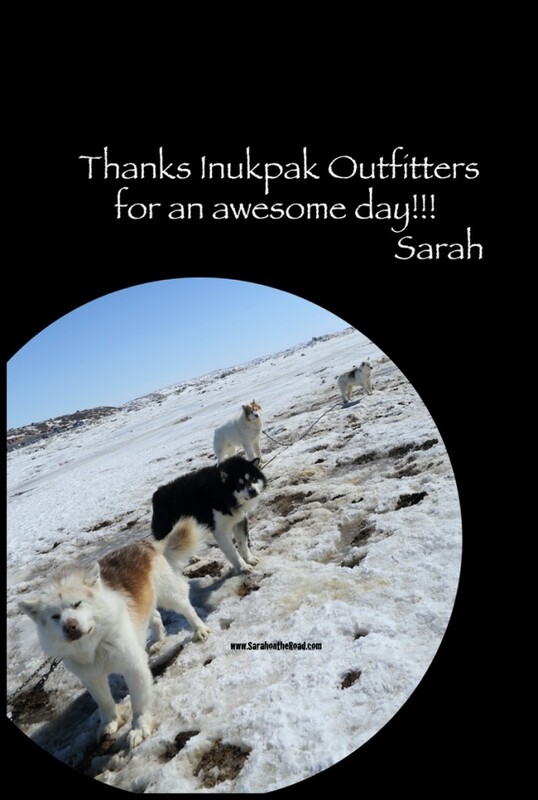 This entry was posted in Life in Nunavut, Walk in the 'hood on May 24, 2014 by Sarah on the Road. 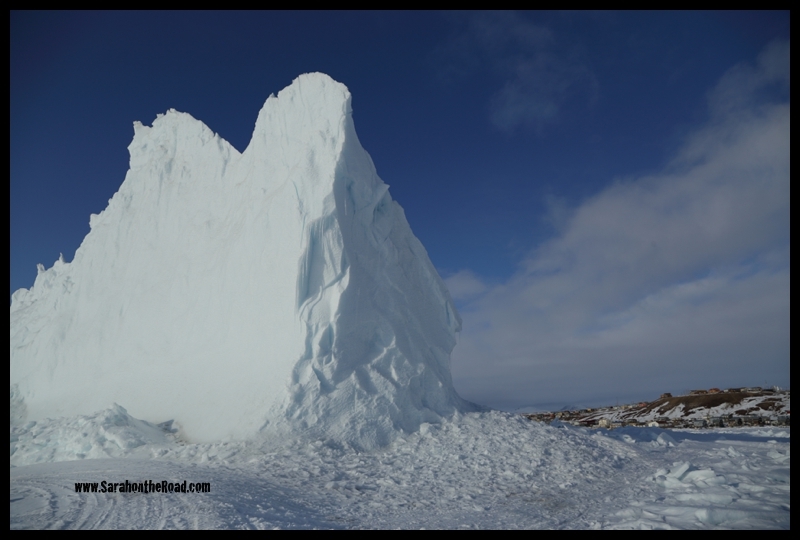 Screaming from the top of my lungs from the High Arctic in Pond Inlet, Nunavut! I hope you have super duper fun on your special day. most importantly, enjoy every minute of your birthday! Happy birthday to a super-duper six year old! 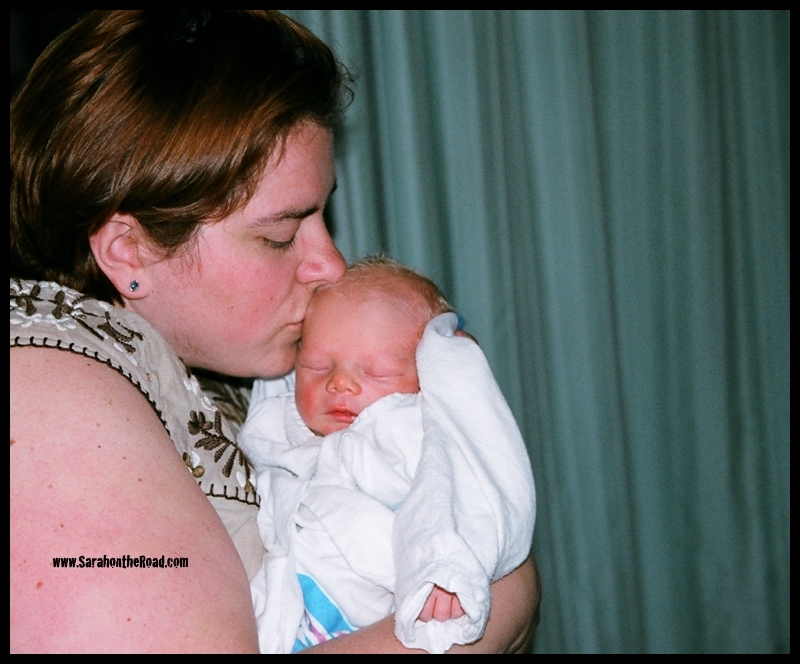 This entry was posted in Birthdays, Family on May 22, 2014 by Sarah on the Road. 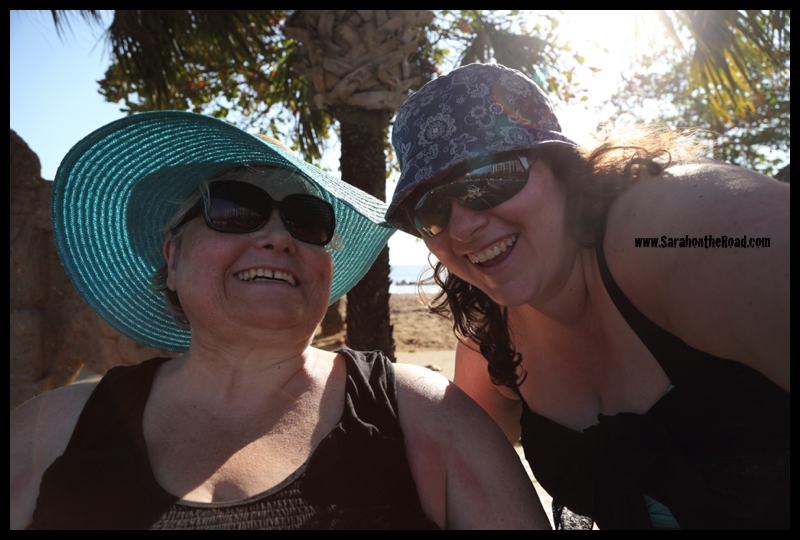 Thanks for being you and the best mum a gal could ever want! Hope you have a fantastic day today. 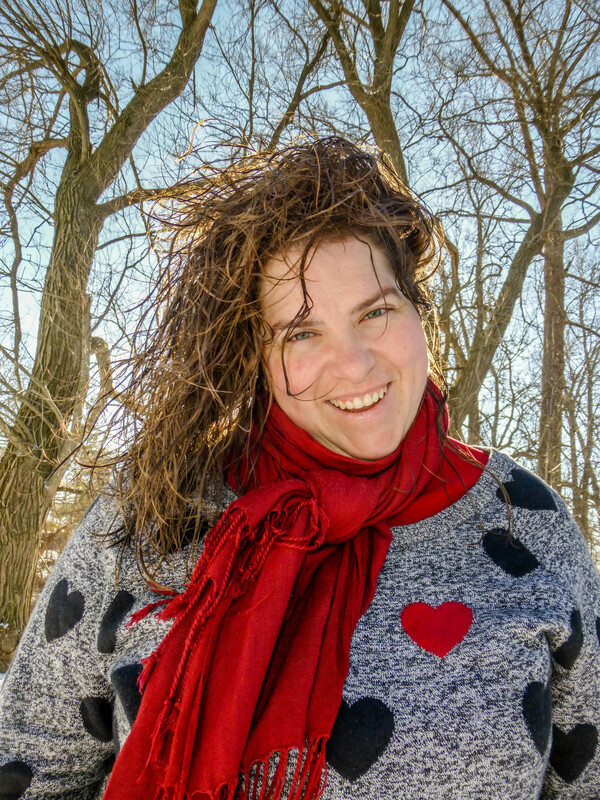 This past year has been awesome…spending a bit more time with you. 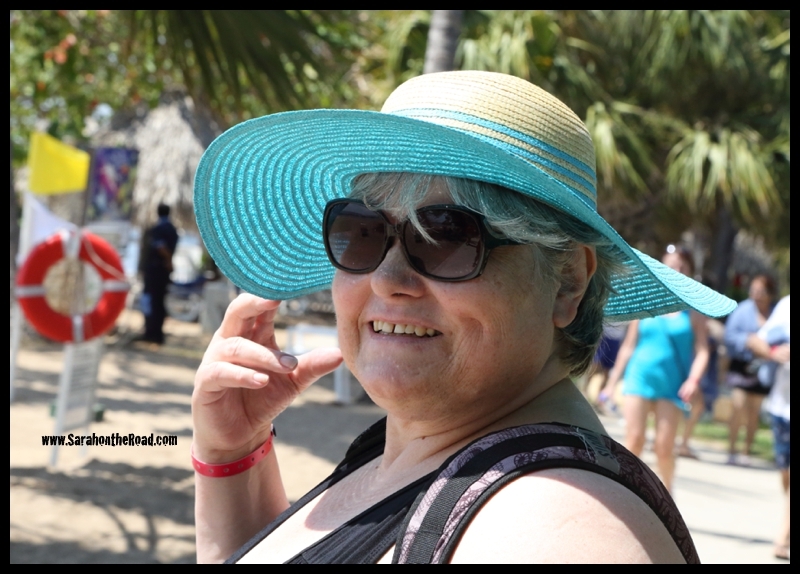 Our trip to El Salvador was awesome..thanks for joining me! Enjoy your dinner with everyone tonight…wish I could be there! 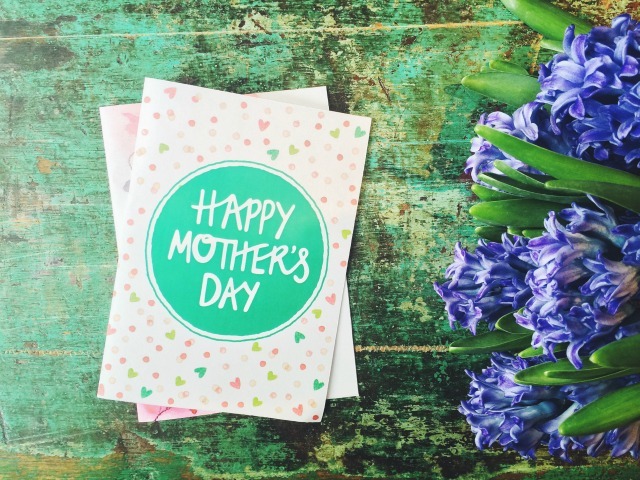 This entry was posted in Family, Holidays on May 11, 2014 by Sarah on the Road. What’s the point of this little story? well experiences shape our thoughts and beliefs about things…so that experience has made me really nervous and freaked out around big, hyper dogs. Little dogs are ok… but big dogs…not really my cup of tea. 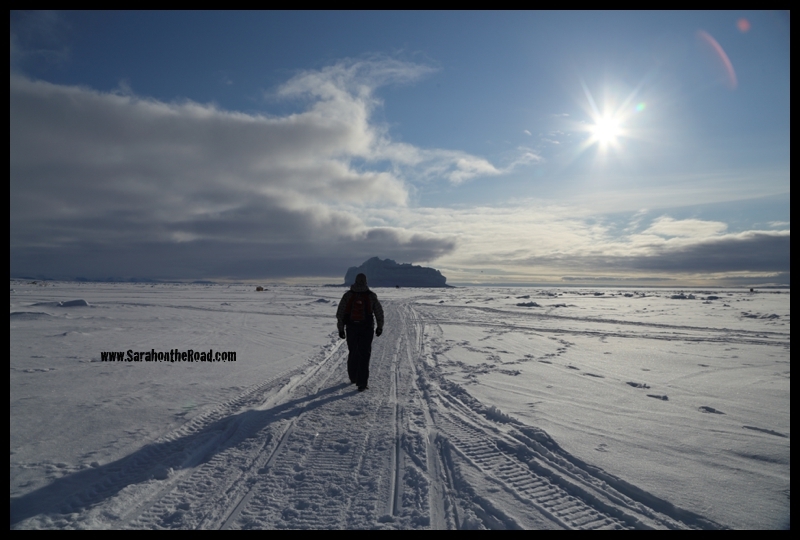 It was a super nice day to be out on the ice… a wee bit windy…but it was at our back on our way out of town! Sitting and enjoying the ride…but also talking up a storm. 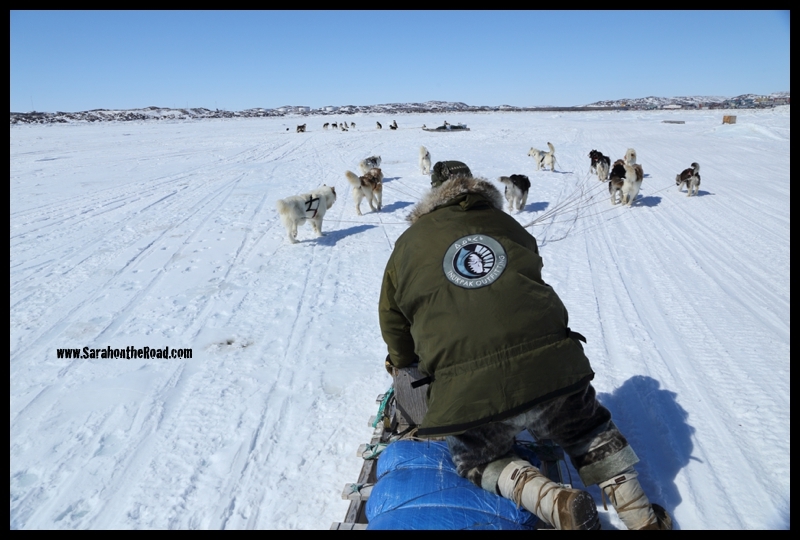 We passed a few other teams that were chained on the ice. 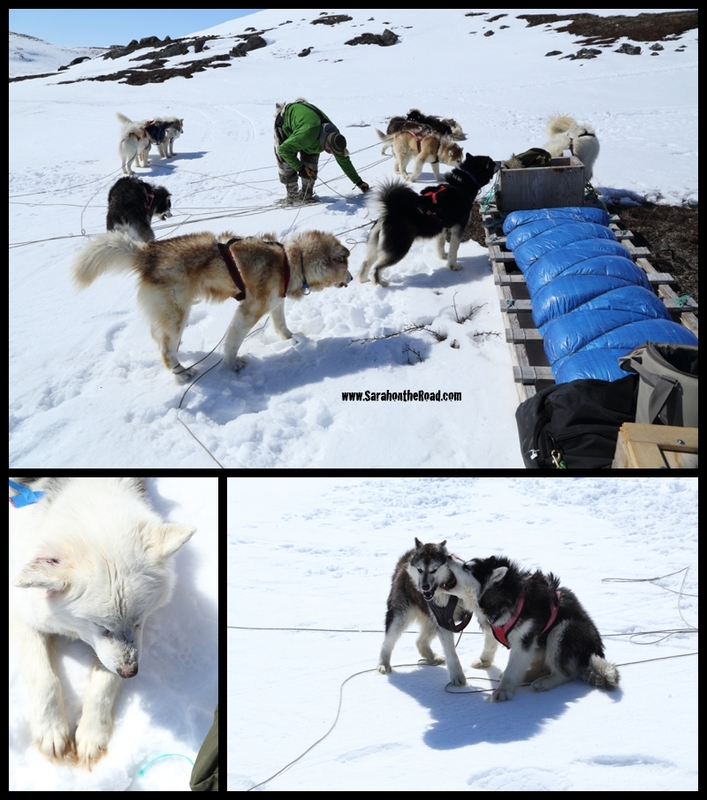 Sometimes the dogs wanted to get closer to “visit” the other dogs but all visits were avoided! 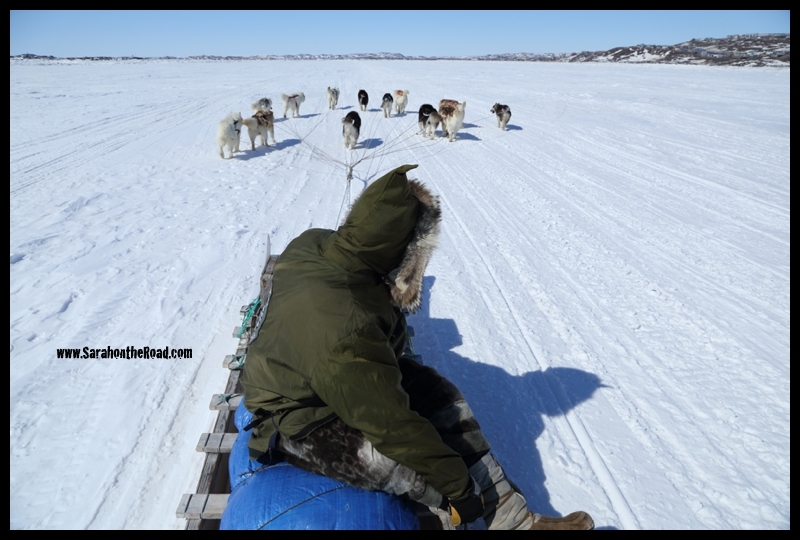 Just before we stopped for our snack and break…the dogs decided they wanted a break, and stopped running… so Louis-Philip got up to run with the dogs. 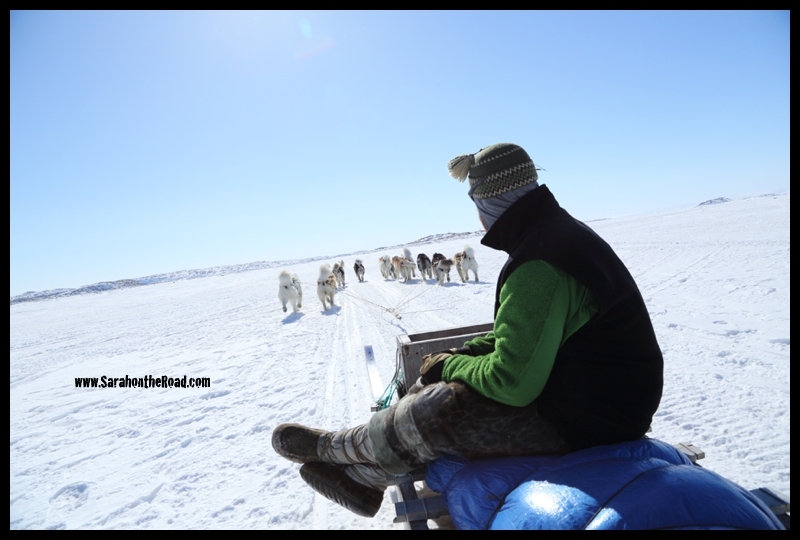 When we stopped for lunch…the break was put on the qamotiq. Louis-Philip grabbed his whip and cracked it in the air (the whip didn’t touch any of the dogs). 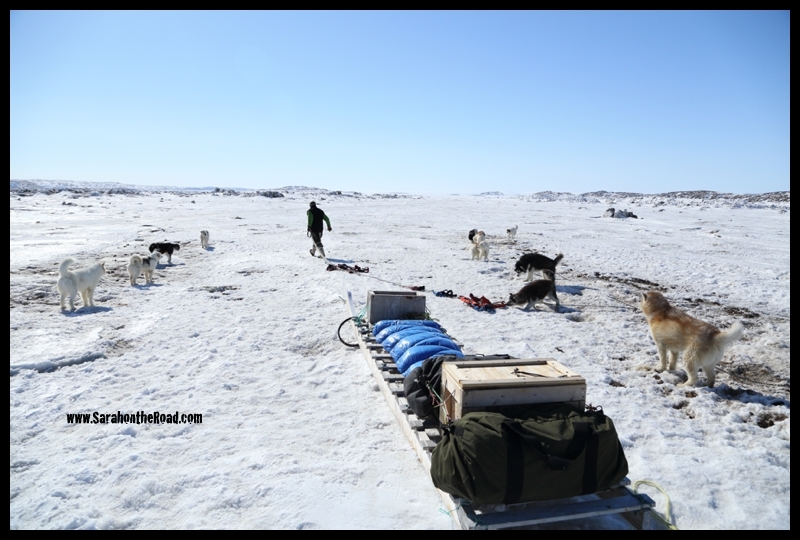 This is a signal for the dogs to lay down and rest… Then it was time for us to enjoy some hot chocolate and tea with some awesome snacks. Just hanging out before it’s time to get back on the trail! 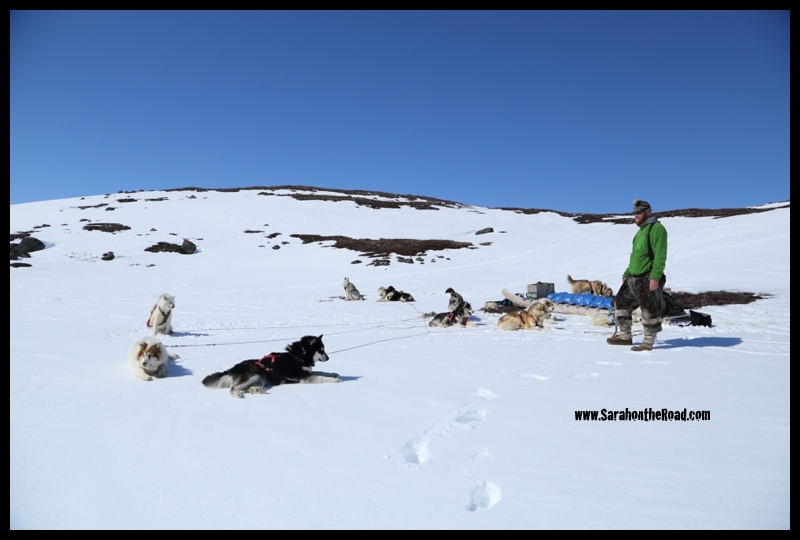 Before heading back on the trail Louis-Philip sorted out all the dog’s ropes…to make sure they weren’t all tangled. The girl puppy I was talking about earlier…decided to start a play fight with her brother which started some playful bites! 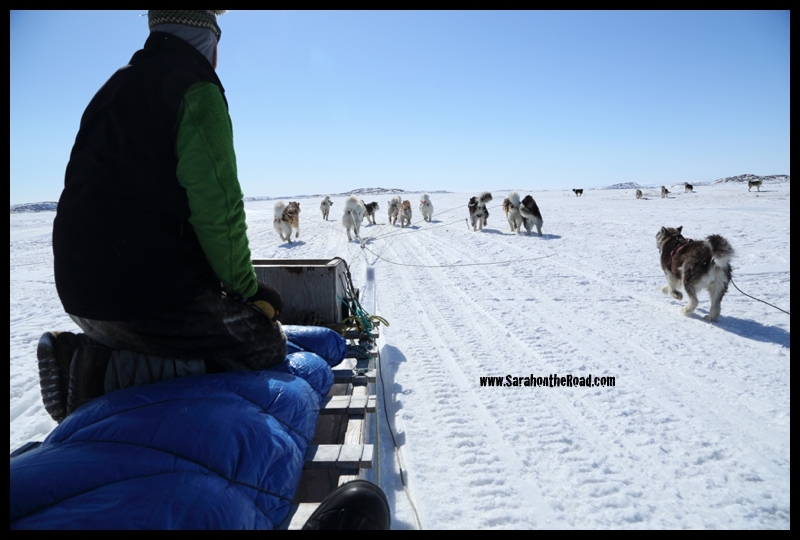 Back into town…with the wind at our faces! At times with a little encouragement required to get the dogs moving! 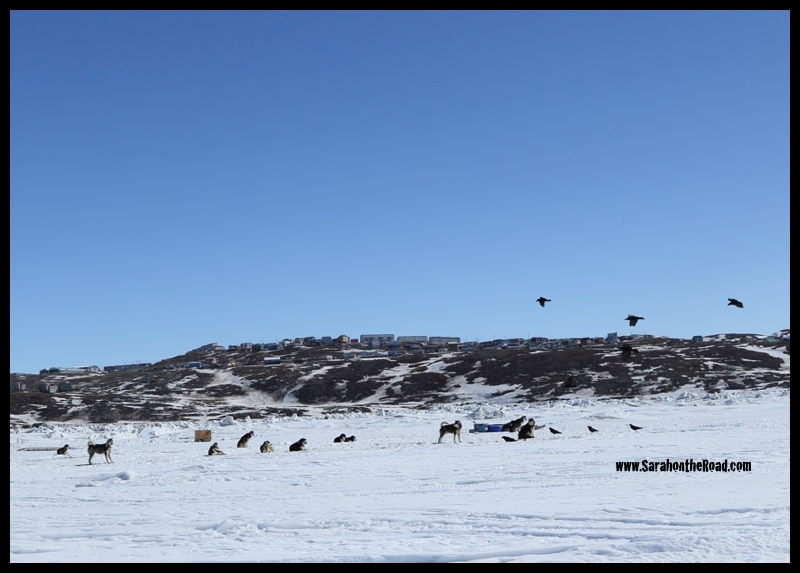 If you ever want to go on a dog sledding Iqaluit is the place to do it! 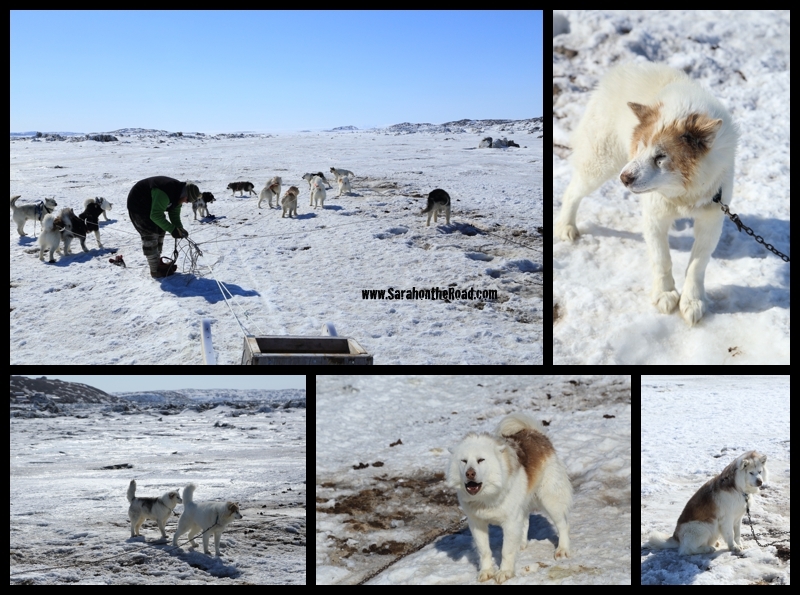 Thanks again Louis-Philip for an awesome day…it was great to meet you and your dogs! 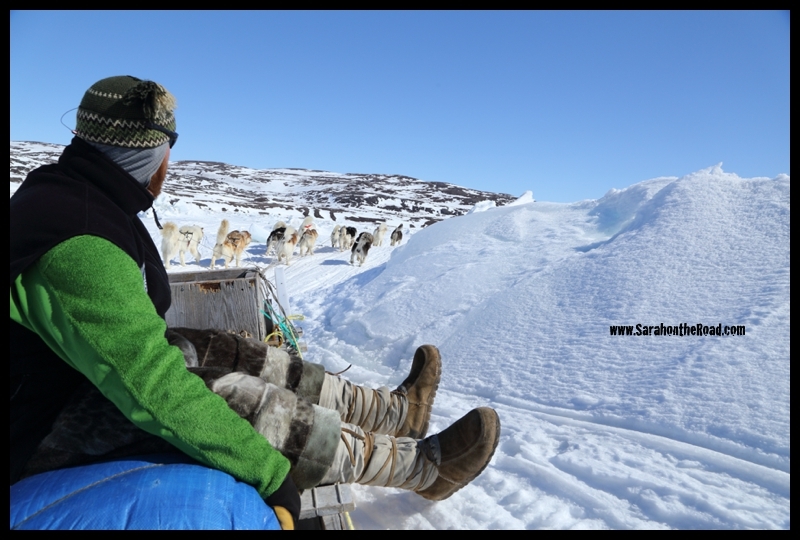 This entry was posted in Life in Nunavut on May 9, 2014 by Sarah on the Road.